In this unique and engaging photography workshop, you will discover how easy and fun photography can be. Break out of Auto! Learn ISO, Shutter Speed, Aperture, Lighting, Composition, and so much more! Explore Winter Garden while learning and growing with your camera! Leave feeling confident and fully capable of taking great photos, easily, in any scenario. Stop shooting on Auto Mode and Start Taking Great Photos Anytime. Photo 101 – Basics of Photography Express, Camera Settings and Composition. This short 1/2 day format class will help you learn the magic of getting off “auto” settings, and gain control through basic manual camera settings. Students will also enjoy learning new creative composition techniques and go-to tips to take home with you. The second half of the class will be applying what we’ve learned, as we practice outside together in beautiful downtown Winter Garden. We’ll have a fun-filled morning of learning and transformation! This is the perfect class format for busy people wanting simple, easy to digest material, in an efficient format and casual setting, with lots of interaction with the instructor and other classmates, as well as plenty of inspiration and encouragement along the way! Learn the smart fundamentals for taking great photos quickly so you can get back to what’s important, enjoying the moment. With hands-on guidance, this class is jam-packed with great tips and resources from a professional photographer who is in the field every day. Understand Depth of Field and Focusing and so much more! If you feel a bit intimidated by all the buttons and settings on your camera, but you love taking photos, this class is for you. If you want to document all the great moments in your life but you don’t want to miss enjoying them either, take this class. You’ll be so glad you did. Stop shooting on Auto and take great photos anytime. Learn how to capture life the way it feels to you right now and start taking photos you are actually proud of. These classes will book up fast. Register today and don’t miss this chance to learn a lifelong creative skill that you will enjoy forever. Jason Cannon has over 24 years of experience as a full-time award-winning professional photographer, with the last nearly 15 years owning his own boutique studio called Cannonfire Photography. His areas of specialty have included photojournalism, as well as modern outdoor family, children and high school senior portraiture, and weddings. 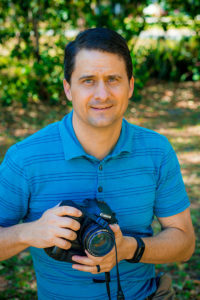 Along the way, he’s developed a passion for helping other hobby photographers learn basic skills to move beyond frustration with camera settings, freeing them up to enjoy growing in creative expression. 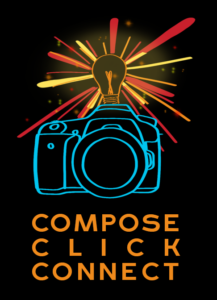 Last year, Jason went to another level with teaching, creating a web- and social-media based space called Compose.Click.Connect, which is dedicated to helping busy people who want efficient ongoing learning, inspiration, community and transformation. If you’re ready to have a fun-filled, informative day? Reserve your spot now for our next Beginner’s Photography Workshop! Class sizes are limited, and dates are subject to change. You must register to reserve your spot. Ticket Sales may end up to 48 hours prior to the time of the event. If for any reason there is a cancellation, you may transfer to another class or receive a full refund. Planning a friends night out, team outing, or party? Do you have 6 or more people? Send us quick message with the details. We can plan a special Photography workshop party just for you and your group!